If you were into music in the late 70s and early 80s, the chances are you were into 2-Tone, the iconic Coventry based label that was home to Ska revivalists like The Beat, The Selecter, Madness and the amazing Specials. 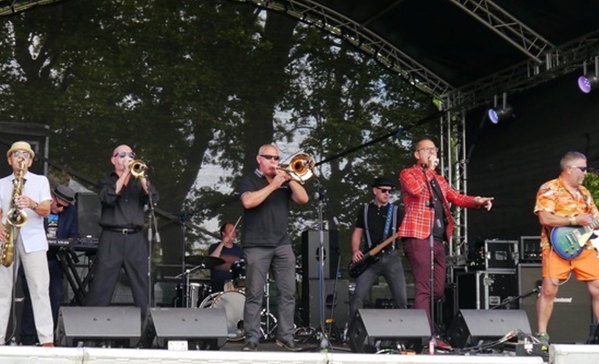 Eight piece ska band Porkpie return the Edinburgh Fringe in 2019 to faithfully recreate the songs of 2 Tone and rocksteady ska. This band are the real deal, from the classic ‘big’ ska band mould, with a full brass section, keys, guitars and porkpie hats to match they play with an intensity and energy that will have you skanking into the night. Get Your Table or Seat! Seating is at tables of six. Tickets can be purchased singly – or to reserve a table, book six tickets.